Sunny Side Up! : My Favorite Famous Couples; Dedication 1. There have been so many remarkable couples spanning the last century who have left their imprint on the hearts and minds of all who were aware of their exsistence. This is the first post in a series dedicated to those who have inspired me the most. Lucille Desiree Ball & Desiderio Alberto Arnaz e de Acha III. 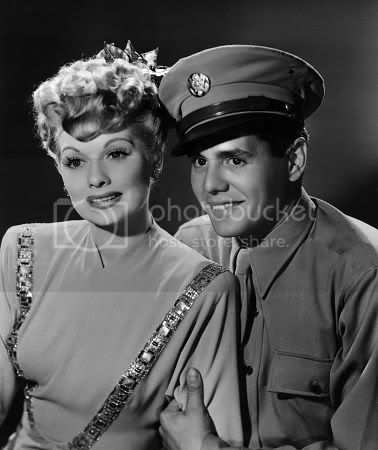 Lucy & Desi became legends of their own time with the premiere of the first and perhaps, best loved television sitcom of the 20th century, I Love Lucy , on October 15, 1951. Unbeknownst to them, the long shot endeavour that was birthed in order to allow these two love birds to work together as opposed to being perpetually seperated by their careers [and also, by teaming up for this project, taming Desi's notorious womanizing nature], they had unleashed a legacy of laughter and unending enjoyment among the American and, a few years into production, the international audience that has carried on into the present day with I Love Lucy still being aired through syndication not only here in the U.S. but in over 80 nations worldwide, including Britain, Central America, Germany, and Japan. 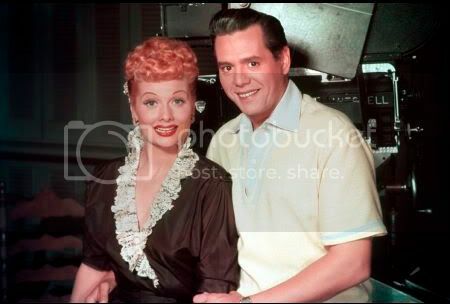 Besides their television shows, Lucy & Desi owned their own studio, which they christened Desilu , and that company produced and housed the production sites of such popular 50s and 60s television favorites as The Andy Griffith Show , Our Miss Brooks , and even, due to Lucy's own good sense, Mission: Impossible and Star Trek . I Love Lucy itself ceased production in 1957 but the beloved characters; Lucy, Ricky, Fred, and Ethel expanded in the continuation of ten years of escapades with The Lucy-Desi Comedy Hour , which allowed for 13 hour long segments which expanded their popularity by another two years with this show coming to an end in 1960, the same year that the Arnazes 19 year union dissolved. 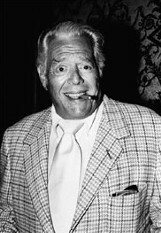 Despite the fact that Lucy and Desi could not live together forever in wedded bliss, they were famously in love with one anopther and it is widely acknowledged that, regardless of the fact that both remarried; Lucy to a mediocre stand-up comedian, Gary Morton and Desi to yet another redhead, Edith Mack Hirsch; they never ceased in loving one another very deeply and they remained extremely close until Desi's death in 1986 from lung cancer and Lucy followed suit barely two years later, a week following a seemingly successful heart surgery when her aorta ruptured in the early morning hours of April 26, 1989. 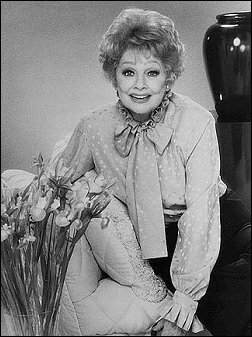 And so, a decades long love affair ceased to be on that date; April 26, 1989; with Lucille Ball's death, because Lucy remained faithful to Desi's memory for the rest of her life, despite their many ups and downs. The world and the entertainment industry owe a lot to these tireless pioneers of the craft, what with Desi's many innovative ideas in television production, including the three camera filming method which is still in use today on many, if not all, of your current favorites; and Lucy's comedic genius and eye for the type of entertainment that would have staying power when she approved the making of Star Trek and Mission: Impossible. These two remarkable human beings are remembered by the vox populi today with respect, reverence, and love and appreciation for the sacrifices that they endured in their personal lives to bring us, their adoring public, such everlasting joy and happiness which, as long as their are individuals like myself and the many other lovely people I have connected with as a result of my own devotion and historian-like tendencies. I Love Lucy was never just a title.